Decide where you would like to advertise in your local area. E.g. which areas of town, near which shops or points of interest. You can even specify particular advertising panels on specific streets. All our advertising panels have an allocated number. Think about the formats you would like to advertise on. 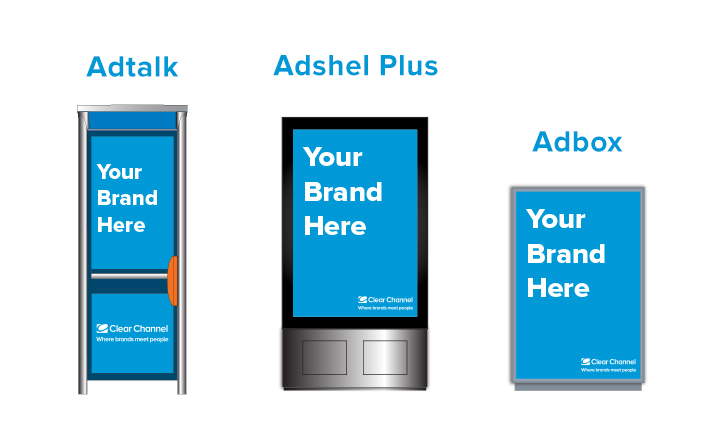 We offer 6 sheet advertising panels and phone kiosks by the side of the road and outside supermarkets and stores. Our Sales team will be able to help and advise you regarding the best formats and locations for you to get the most out of your campaign. Our Local Sales Expert can be contacted on +353 1 2611027. Ask about the availability and pricing of the advertising panels you are interested in. We are very flexible in our approach and will do our best to meet your requirements, however large or small your booking. Decide when you would like your campaign to run. Outdoor advertising follows a two-week posting cycle. 'In-charge' refers to the dates when your posters are displayed. View our posting calender. Once your campaign formats and display dates are booked you will need to design your poster. You can supply us with your posters already designed and printed or if you need help we offer a design and print service. See your campaign up on the street!